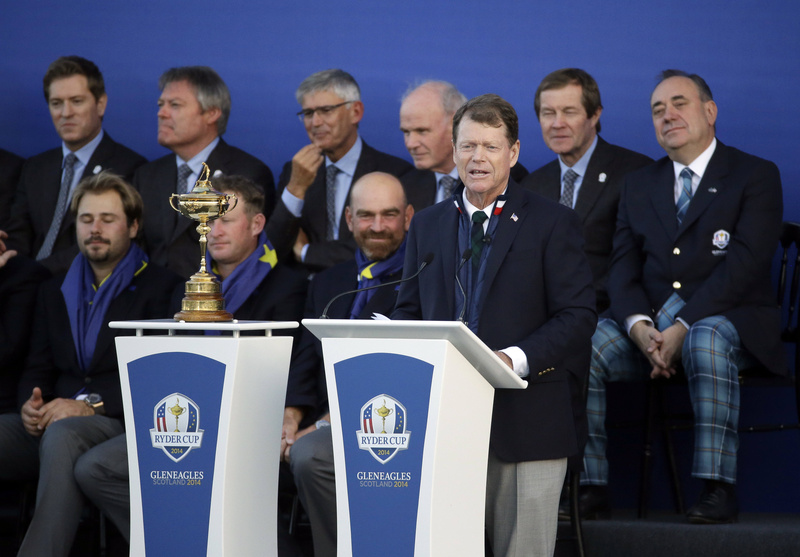 GLENEAGLES, Scotland – Paul Azinger is not ruling out a return as Captain America in the Ryder Cup. But that’s not what America needs. His reputation only grows each time the Americans fail. Why would he want to risk that when there is no guarantee of reward? With so much focus on a dysfunctional U.S. team, it’s easy to overlook that Europe might have been the stronger side, anyway. The reaction to such a resounding loss and embarrassing exit in the Ryder Cup was to bring back Azinger in 2016 at Hazeltine. So when Derek Sprague takes over as president of the PGA of America the weekend before Thanksgiving, Azinger should be the first person he calls. Not to hire him. To listen to him. Azinger might be the one person responsible for giving the Americans their best chance in a game that has gone global. His greatest contribution had nothing to do with pods, rather how the team was chosen. He refused to take the captain’s job for 2008 unless the PGA of America agreed to toss out its outdated qualifying system in which points were rewarded only to the top 10 at PGA Tour events. That stopped working as the tour became populated with the best players from around the world. And he somehow persuaded the PGA of America to copy the PGA Tour. The new qualifying system is just like the one used for the U.S. Presidents Cup team – based strictly on money dressed up as points. He also asked that the number of captain’s picks be doubled to four players. He sure looked like one. His system of “pods” was genius. Three groups of three qualifiers told Azinger whom they wanted as a captain’s pick. They were accountable for each other as a pod and a team. And above all, it’s about team. That’s what Europe has figured out. The Americans had that under Azinger. They also had it under Davis Love III, except that Europe had better putters at Medinah, and that works in any format golf is played. But to identify the problem with the Americans is to study the team that keeps beating them. That starts with how the captain is selected. Paul McGinley wasn’t chosen by a club pro. The 12 players on the tournament committee for the European Tour who put him forward as the captain, the same system that selected Jose Maria Olazabal and Colin Montgomerie. It will change for 2016, but the same principle applies. Getting the players invested started with having everyone under the same flag. The past three captains, one player from the tournament committee and European Tour chief George O’Grady are on the panel that picks the 2016 captain. Why doesn’t the U.S. involve the players and the past captains? There is no continuity in America, even on the rare occasion when it wins. The Ryder Cup is closely contested because the players are great. Even so, Europe has won eight of the last 10. And unless something changes, the gap will only widen.